Israeli Prime Minister Benjamin Netanyahu has apparently fallen victim to an all-out George Soros-backed smear campaign, political analyst Avigdor Eskin told Sputnik, adding that the increased confrontation between Tel Aviv and Tehran has nothing to do with the inner political struggle in Israel. The allegations against Prime Minister Benjamin Netanyahu are ridiculous, the Jerusalem-based Israeli political analyst Avigdor Eskin told Sputnik, noting that the notorious New Israel Fund backed by US billionaire George Soros plays an active role in the anti-Netanyahu campaign. "This is mainly an Israeli internal struggle," Eskin explained. "The process of demission of old elites is much personified by Prime Minister Netanyahu and Israel's Minister of Education Naftali Bennett. Both have personal history of combat operations and success in business and both are absolutely alien to any globalist liberal dream. Netanyahu earned good money in private business and is used to upper class living standards. But there is nothing to do with bribery or corruption." The Israeli political analyst dropped the hint that George Soros' New Israel Fund could be involved in the effort to pressure Netanyahu to resign. The controversy between Netanyahu and the American tycoon emerged in late January — early February 2018 over the prime minister's plan to deport tens of thousands of Eritrean and Sudanese migrants to Africa, which stirred a heated debate and a series of protests in the country. According to the government plan, African migrants have to leave Israel by April 1, 2018. Citing a source close to Netanyahu, the Jerusalem Post reported February 4 that the prime minister blamed Soros for the anti-government smear campaign, adding that the Soros-funded New Israel Fund, a left-leaning umbrella organization for Israeli civil rights groups, had a hand in it. Soros rejected the Israeli prime minister's accusations. However, the magnate heavily criticized the government's plan stressing that it was wrong to "send asylum seekers back to countries where they might be persecuted or killed." The investor is known for his enthusiastic support of various migration plans which envisage moving large groups of people from one continent to the other. In 2015, Soros published an op-ed entitled "Rebuilding the Asylum System," offering the EU to absorb millions of asylum seekers. Hungary's ruling party, Fidesz, denounced the plan as an attempt to "reconstruct" Europe. At the same time, in mid-February Israeli police recommended the attorney-general to look into two unrelated corruption investigations concerning Netanyahu. According to the police, in the first case the prime minister is suspected of receiving bribes worth $300,000, while the second one involves a supposed plot to receive positive coverage in Israel's biggest media outlet. 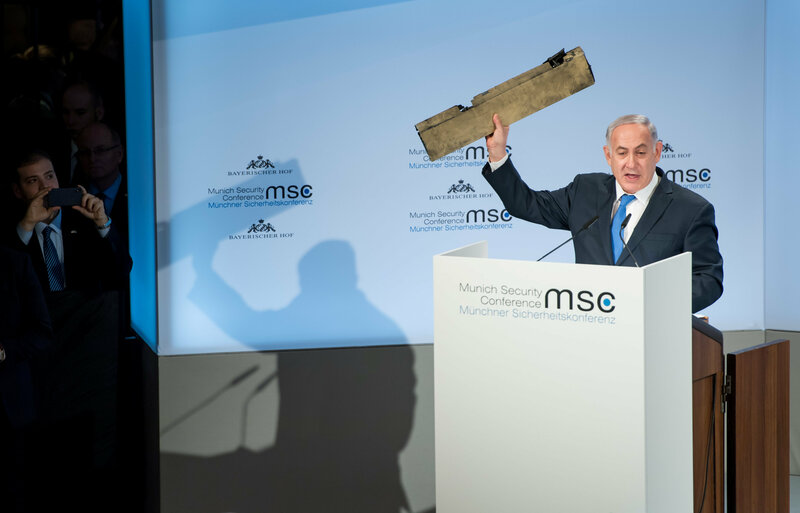 Netanyahu rejected the allegations, saying that they are "full of holes like Swiss cheese." The right-leaning Netanyahu government has long been at odds with the American investor, who has repeatedly come under criticism from foreign governments for interfering in other countries' domestic affairs through a wide-spread network of NGOs. In July 2017, the Israeli Foreign Ministry accused Soros of "continuously undermining Israel's democratically elected governments." "George Soros… continuously undermines Israel's democratically elected governments by funding organizations that defame the Jewish state and seek to deny it the right to defend itself," the ministry stated. In his February interview with Sputnik, Turkish political analyst Mehmet Ali Güller opined that the clash between Netanyahu and Soros was at the root of soaring tensions over the Israeli prime minister's policies and alleged corruption plot. He drew parallels between Soros' criticism of US President Donald Trump and verbal attacks against Netanyahu, mentioning the fact that the two politicians get along very well with each other. How Could Netanyahu's Potential Ouster Affect Russo-Israeli Ties? The question then arises as to how Netanyahu's potential resignation could affect Russo-Israeli relations. Eskin noted it was under Netanyahu that the Russo-Israeli relationship reached its peak. "This is true to say that the personal trust between President Vladimir Putin and PM Netanyahu is an indispensable asset for Russian-Israeli relations," the Israeli political analyst said. "But there are unbreakable ties between our defense ministries, our intelligence structures. And do not forget that twenty percent of Jews in Israel speak Russian. So the basis for further friendship is solid and is above the Putin-Netanyahu alliance." On the other hand, Soros' supposed plan to deal a blow to the right-leaning Israeli power circles is likely to fail. According to Eskin, "if Netanyahu resigns there will be temporarily somebody from his Likud Party, but in the foreseeable future we will see the rise of education minister Naftali Bennett and his religious party Jewish Home." Speaking to Sputnik, Eskin shed light on recent contradictions between Israel and Iran over Syria. "Israel will not allow any Iranian presence on its border," the analyst highlighted. "We are not concerned about Iranian efforts to keep President Assad in the office but we will not allow them to threaten us from Syrian territory." He underscored that "Israel is much more active in Syria than the media reports." "[Israel's] efforts are against Iranian and Hezbollah attempts to build infrastructure to attack Israel in the future and also against ISIS [Daesh] and other terrorist group which threaten Israel," he emphasized. Nachman Shai, a member of the Knesset, shares Eskin's concerns. According to the parliamentarian, Israel will make all efforts to prevent Iran's military expansion closer to the Israeli northern border. Tel Aviv has on multiple occasions warned that Tehran was allegedly building a permanent military base south of country's capital of Damascus. On February 27, Fox News suggested that Iran had established a missile base outside the Syrian capital, citing satellite imagery from ImageSat International. The photos depict two hangars which reportedly could be used to store short-and-medium-range missiles that can strike anywhere in Israel. Iran has repeatedly rejected Israel's claims that it is seeking to create military bases in Syria. 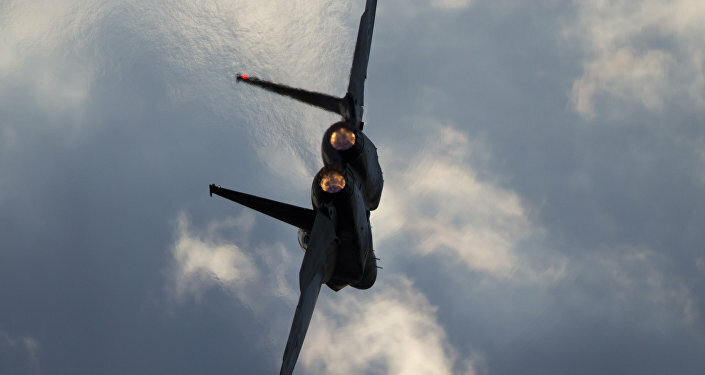 In February, tensions between the countries increased dramatically following the interception of what Israel claimed to be an Iranian drone and the Israeli Air Force's (IAF) attacks against targets in Syria which resulted in the downing of an IAF F-16 fighter. When asked whether the resumed Iran-Israeli standoff is connected with the current inner political struggle in Israel, Eskin responded laconically: "No connection whatsoever."